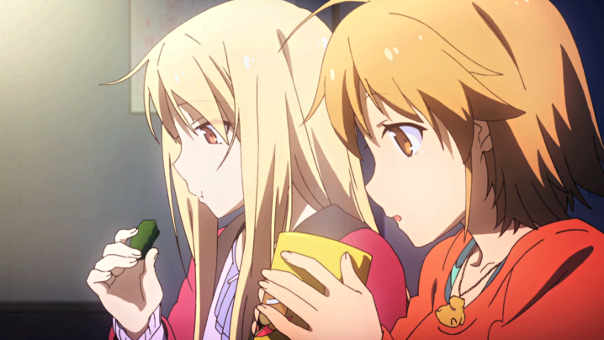 Recap: Valentines day is approaching fast and the residents of Sakurasou are growing anxious. 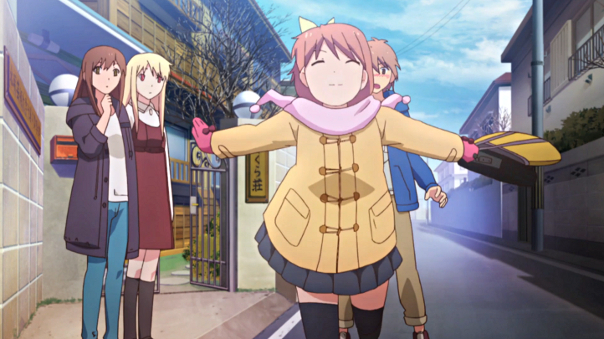 Mashiro is becoming jealous of Nanami, while Nanami prepares for her last stand against being sent home. Sorata passes the first part of his interview with the game company and is now preparing to work with their staff to improve upon his concept. Even Misaki seems to be in high spirits as she works on her next animation project. Who will make it big and who will be left out in the cold? We will find out soon. 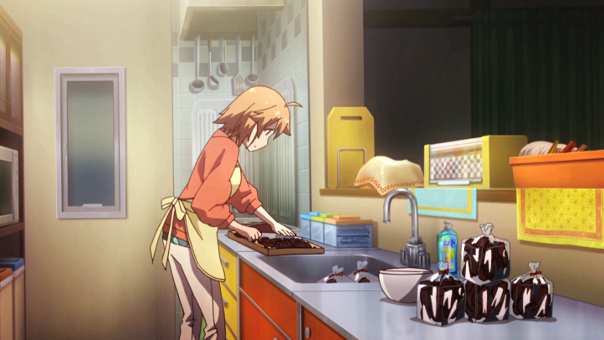 Misaki no, what are doing with all that chocolate? This won’t end well. Lifesong’s Thoughts: I feel bad for Nanami. I like Mashiro quite a bit and am fairly certain she will be the one to pull out ahead by the end of this, but I like Nanami as well. She works so hard and yet it seems the world and this story are stacked against her. I am happy to see that she is focused on her goals and not just doing this for Sorata’s sake, but I get the feeling she will be denied both. Lately this anime feels like watching a become an artist reality TV show. Someone is going to get sent packing soon and at this point I would be very surprised if it is anyone other than Nanami. I wonder if Sorata will actually start dating one of the girls. I am not entirely convinced that Mashiro will win the romance. It seems highly likely, but exactly because it seems so likely I am prepared for something unexpected. I suppose it’s the mark of a good romance that I don’t want to see it come to an end. That said, I can see room for some neat things after Mashiro and Sorata start dating. It seems unlikely that Sakurasou will make such a huge leap so far from the ending, but I may welcome it if it does. Who are those imposters standing beside Sorata and his Imouto? As much as I am enjoying all this, the build up is becoming hard to take. I can’t wait to see how it all goes down next week. So many relationships that could easily move in unexpected directions. These characters come to life when they are working on the things they love. I appreciate the theme of love as something the characters express through the things they do versus something that is just a silly emotion, it gives added weight to all of the drama. Speaking of drama, you might want to prepare tissues for next week in advance, there is a good chance they will be needed.